My girls bedroom is about to get a little makeover. This is because they are both getting a little older and need bunk beds and new wallpaper. So! 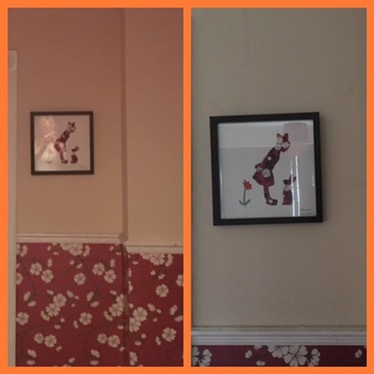 along with wallpaper and paint, there walls also need a few pictures, such as this one from Bertie and Jack. 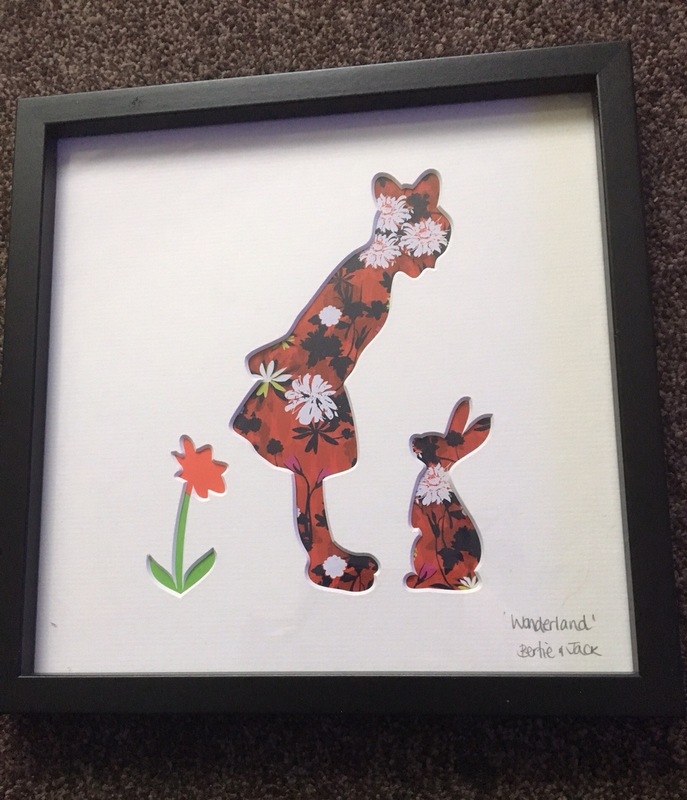 This is just one of many framed wall pictures for children. They have many others to choose from with animals and fun characters. We particularly liked this one as it has the Alice in Wonderland theme which my girls both love. It’s even called Wonderland. The prints all come as cut out images with a colored background behind. Yes you do also get to choose the background colour pattern and there is a long list of choices. The frame colour is also chooseable and messages/words can be added at the bottom of the print too. I chose not to add a message and I was really unsure what to add. This is the print hung up. As it’s in a glass frame, it is very reflective so taking a photograph can be tricky. The prints can all be purchased with or without a frame in 4 sizes. The small framed prints such as ours start from £45.00.